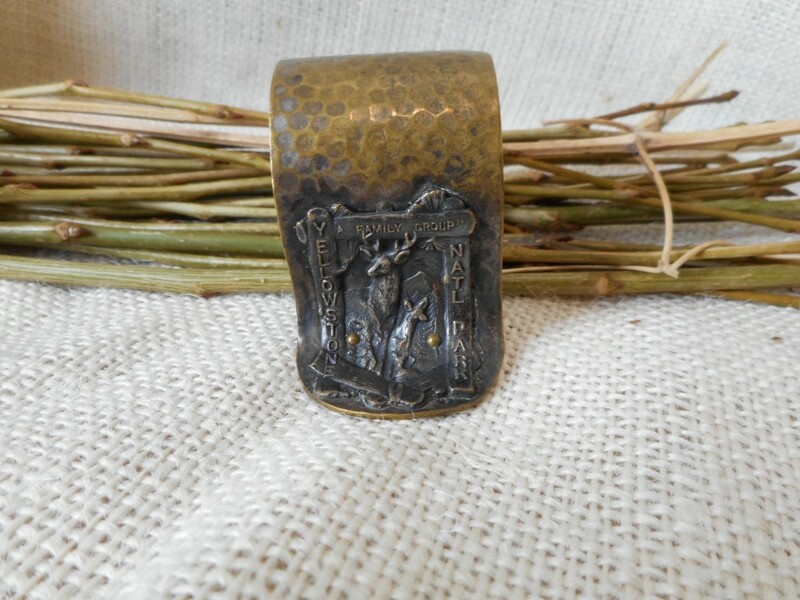 Yellowstone napkin ring circa 1920, with a heavy plaque overlaid of "A Family Group" - an elk bull and cow & calf. Circa 1920. Measures 1.40" wide.